"Let's Make Your Event One To Remember"
DJ-Willsy is a part-time business providing mobile discos and premium entertainment. We're passionate about what we do and will tailor our service to your exact requirements. We use professional equipment including lights and lasers. You can even choose your own message to send to all your guests in lights. We have music for most tastes including 60s, 70s, 80s, 90s and up-to-date chart. Our service is reliable, friendly and efficient. Prices are competitive and all bookings are confirmed in writing. We cater for many occasions, including weddings, anniversaries and birthdays. Please pop along to our website where we will be more than happy to answer any questions via our contact form, landline or mobile number. If there's a specific time that's best to contact you, why not text us so we can call you back when it most suits you? I look forward to hearing from you, DJ-Willsy. Required by many venues, DJ-Willsy has a current PLI policy with National Association of Disc Jockeys in the amount of £10 million. Also required by many venues, DJ-Willsy has supplied satisfactory evidence of holding current PAT inspections of their equipment dated within the last 12 months. A Method Statement outlining DJ-Willsy&apos;s Health & Safety procedure for setting up disco equipment has been provided. DJ-Willsy has provided Risk Assessments undertaken at events sourced via needadisco.com, indicating that they can undertake these competently. Why do people choose to book DJ-Willsy? Best service from the cheapest price. Contact was very professional, and he has been very accommodating wth our music choices. He has everything I wanted and the reviews I read seemed to be reassuring. Many thanks. "It was great to have music at the party and the DJ did well. He put together the selection of music as I asked, and perhaps I could have been more specific. However everything I asked for was there. Not many people danced but the children really enjoyed themselves with the music and the opportunity of using the space provided. Martin was pleasant and prompt and professional, and his equipment looked great in this particular setup. My only negative point is that I did have to go and "find" him a few times when he was outside the door smoking, rather than with his equipment..... He immediately responded, so there was no problem. We all enjoyed the party which was the important thing." "Thank you very much for positive feedback it was a pleasure to DJ for you at your Birthday Party. To answer your negative point, yourself and guests were actually sitting down for your meal when you wished to see me. l had left my equipment as to not disturb you all eating, you did approach myself the once and l did immediately respond to answer your query of you asking if l could play a game, so a little unfair but thank you for all of your positive comments once again." "We were very pleased and satisfied with DJ-Willsey. He was very helpful when planning the music for the evening and we found him a good, professional person and would recommend him should anyone ask us. " "Thank you so much for your positive feedback, its great to see that you was happy with my services and l hope to hear from yourself again." "Martin arrived early and was set up in good time. He was very helpful and suited the occasion well. Thank you Martin"
"Thank you so much for your positive feedback, it was a pleasure to DJ for you and l hope to hear from you in the future." "Martin was brilliant. Just what we wanted . The dance floor was full the whole evening. Guests had their requests played without any fuss. The lighting was great including the personal laser birthday greeting which Martin provided . Everyone present said they would recommend him and so would we. Thank you Martin you made the night." "DJ truly made our reception perfect would definitely recommend. " "Thank you very much for your positive Feedback, it was a pleasure to provide services for you and l hope to hear from you in the future." "Martin was just fantastic. Very accommodating to all needs. We gave a selection of songs to play and he filled the gaps with perfect song choices. Would not hesitate to recommend and even use myself again for any more dj needs that I might have. Thank you Martin! Great job!" "Thankyou for your positive Feedback, was a pleasure to DJ at your Wedding, l look forward to hearing from you again in the future." "Communication was very good and every thing we asked for was provided . We had a band as well and he sheared the evening well making it a memorable lovely party "
"Thank you very much for your positive comments, it was a pleasure to provide Services for yourself. I hope to maybe hear from you again in the future." "Martin was excellent. I would very much recommend him to family and friends. A very good night. Thanks very much ." "Thank you very much for your positive feedback, it was great to meet yourself and all of your guests and to help celebrate your special day, l look forward to maybe hearing from you in the future." "Martin was polite, friendly and communicative. Everything that was expected was provided. An excellent evening." "Thank you very much for your Positive feedback, l look forward to maybe hearing from you again soon." "I wanted to supply my own playlist for the DJ and this was no problem. We only had an hour to set up at the venue. Martin said that ideally he needed 1 1/2 hours but that he would ensure that music was up and running within the hour even if all the lights weren't ready. He arrived promptly, set up with no fuss at all and started the music as promised within the hour. My guests said that he wasn't particularly friendly when they made requests but he did play all their requests and covered a lot of my playlist, which was great. He did not use the microphone at all during the event but that was fine as I prefer to just have music anyway. He also packed away quickly at the end. Really good lights too. Really pleased with the service and excellent value for money." "Thank you very much for your Positive Feedback." "He was marvellous. Helped plan, followed all instructions, showed up on time. Top marks!" "Thank you very much for your Positive Feedback it was a pleasure to DJ at your Birthday, look forward to hearing from you again." " Excellent DJ played exactly the type of music requested." "Thank you very much for your positive feedback, l am very happy you was pleased with my Services and l look forward to hearing from you in the future." "Martin was punctual and efficient. Communications prior to the event were effective. My requirement was that Martin used my playlist, which he did. There was no interaction with the audience in between tracks - Martin just played the music. This was what I wanted. Overall, Martin did a good job and fully met expectations"
"Thank you very much for your positive feedback, l am very happy l provided everything you asked of me for your Special day, l hope to hear from you in the future." "We were very please with DJ Willsy I will definately be using him again if the need arises. He was very presentable and friendly gentleman and played great music." "Thank you very much for your positive feedback, l am very happy you was pleased with the Services l provided and l look forward to hearing from you in the future." 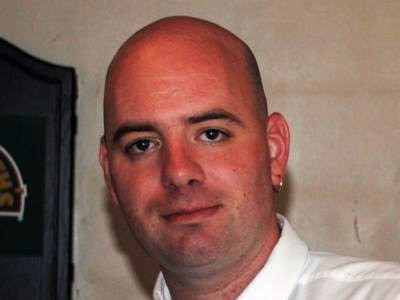 "Martin was very efficient before the wedding and proptly replied to our emails.On the day we thought he was lifeless. No interaction with guests at all. He was just behind the equipment loading music up. If we had our son with an ipod and some lights we would have got more vibes and entratainment. Shame." "I Spoke to you both a lot to check you was happy with the Services l was providing & both told me you was more than happy. I did speak on the mic a fair bit throughout the evening so why say l did not. At the end of the evening when you finally decided to pay for my services which was meant to be at the start you said again how happy you both was with the service provided, so why not mention this on the evening?" "We were super impressed with Dj Wilsy. He was very professional & approachable. Everyone at the party commented on the set played. All our emails were quickly responded to, and everything we asked for in terms of what music we like was used. The children loved the glow sticks & sweets, such a massive plus!" "Thankyou very much for your great feedback, l enjoyed your party alot and was a pleasure to provide my services, l hope to hear from you again." "Dj wilsy was a fab dj for my hubbys 50th birthday party all my guests were pleased with the music he was prompt and very polite and asked what his attire should be ie shirt and tie or casual he provided glow sticks for the kids which they loved also I put in a last minute request to which he done for us very very pleased thank you dj wilsy definitely use you again !" "Thank you very much for your Positive Feedback, it was a pleasure to DJ at your husbands Birthday Party, and l hope to hear from you again soon." 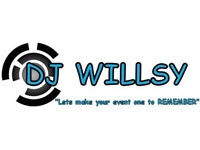 DJ WILLSY is committed to providing professional, reliable and quality service. If you are contacting DJ-Willsy about an event, it's always a good idea to include the DATE, LOCATION, EVENT TYPE, AGE GROUP and TIMINGS to speed things up!